If you happened to miss last night’s premiere of “Countdown to UFC 142” on FUEL TV, no worries because we’ve located the footage for you. 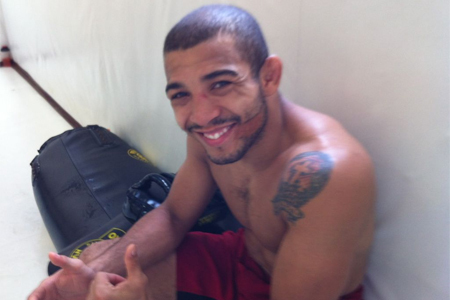 UFC 142 takes place this Saturday and features a featherweight title bout between champion Jose Aldo (Pictured) and Chad Mendes. The hour-long documentary focused on the 145-pounders as they prepare for battle. Vitor Belfort and Anthony Johnson, the card’s co-main event, also provided behind-the-scenes footage as they get ready for their middleweight shootout. If you prefer to watch the promo on your television set instead of your computer screen, FUEL TV is scheduled to air replays tonight at 10PM ET, Thursday at 8PM ET and Friday at 5PM ET. The HSBC Arena in Rio de Jenairo, Brazil hosts UFC 142. The pay-per-view broadcast begins live in the US at 10PM ET/7PM PT.